Flying has become the norm for even short-distance travelling. It feels rewarding to be a frequent flier. Risks associated with flying are small, but relevant. People who fly more frequently are at higher health risks. Flying high and gaining more miles with every flight is one of the coolest things for some people. Everything sounds so good about the long and frequent flights that you fail to realise the health risks associated with it. Here is what you must know about flying and what it might be doing to your health. Flying is surely a quick and convenient way of travelling around but it has its own drawbacks too. Lack of humidity inside the cabin of a plane can cause dehydration and mild problems such as dry skin and scratchy eyes to breathing problems in asthma patients. Therefore, it is important to drink plenty of water throughout the journey. If you are feeling dehydrated, avoid consumption of tea, coffee and alcohol as it may worsen your dehydration. Because we cannot open windows in the plane, the air let out by the engine is channelled into the interiors. Most airlines recycle internal air several times during the flight to save fuel, which results in lack of clean air. It gets even worse when the flight-off is delayed and passengers have to remain on the stationary aircraft during which period the engine doesn’t work and the air become increasingly foul because of poor ventilation. Everyone knows that lice are bothersome bugs that thrive on aircraft blankets and head rests as they are not cleaned between flights. A plane can take around 4-16 trips in two days. This means that several people have used the same blanket before, making it highly likely to be infested with such bugs and lice. The sage advice would be to carry your own jacket to stay warm. While it may sound surprising, flying frequently involves risk of developing cancer associated with it. Recent studies have suggested that frequent fliers are at a higher risk of developing cancer. The risk of fatal diseases is highest among the cabin crew members. They are five times higher at risk of breast cancer and three times more likely to suffer from skin cancer in comparison with passengers. Studies suggest that prolonged exposure to cosmic radiation could be one of the main reasons behind it. 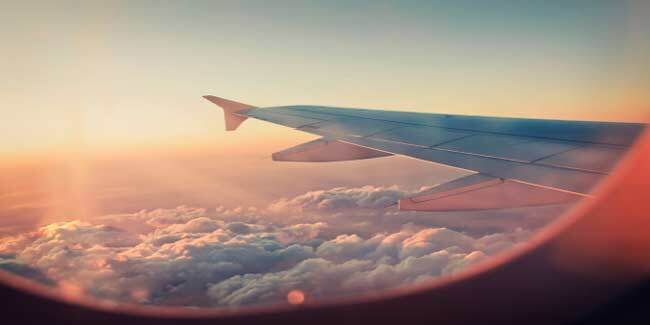 Now that you know the health risks of flying in a plane, try to take care of your health a little better even if you really can’t put off that work trip.